Frank Eze resides in Ibadan, Nigeria. His poem "IJE: I" was shortlisted for the annual Korea/Nigeria Poetry prize, 2016 edition. 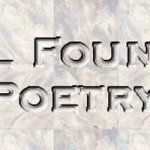 His poems have been published on 'Storried', 'COAL' 'WritiVision' and other online journals. Frank Eze is passionate about art, especially poetry. Americans are more prone to anxiety than citizens of any other nation. A new study by the World Health Organization found that 31 percent of Americans suffer from an anxiety disorder in the coun of their lifetimes, because of work ar nancial worries and pressure to succ That’s five times the anxiety rate am people in Third World nations such as Nigeria.